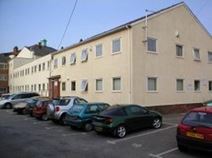 Close to the town centre this large office space is shared with a property company. With room for four new businesses the large industrial space has been transformed into a busy unit in a great new development, Free council car park next to the building. This is an elegant, Gregorian building with well-aged style and character. The rooms within come furnished as standard, and rent include lighting and heating costs. Located within 200 metres of the local shopping centre, the amenities are abundant, and transport links are great. The site is close to Halliwell Jones Rugby League Stadium. Reception is manned and other services include post collection, boardroom and meeting room. Located in Burtonwood in the heart of the Cheshire countryside the centre offers a viable alternative to town centre office space, with very reasonable rent & rates comparable to city centre locations. The business centre boasts a plentiful supply of roomy parking bays located directly outside your office. 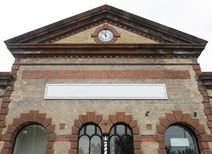 A traditional 19th century barn has been converted into a state of the art 2 storey business centre with a lift & full disabled access to the building. All of the office units are energy efficient and utility bills are a fraction of what you would pay in towns and cities. The centre offers 3815 sq ft of total office space with varying flexibility of individual office sizes and leasing agreements. Office space ranges from our small sized units starting at 355 sq ft to our larger spaces at 860 sq ft. An ideal range suitable for small start-ups through to established business organisations with many employees. The barn was converted into state of the art functional office spaces, offering a rural business residence away from the hustle & bustle of the city, yet still close enough for quick access to Manchester & Liverpool via the M6 & M62. This office space has 14 office suites available that range in size. 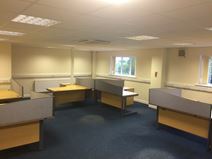 They are all refurbished to a high standard and have access to the fantastic break out area. There are many great facilities, including 24 hour access and CCTV. The work centre is located next to Warrington Central Station, providing easy access for commuters. The motorway networks are also easily accessible, providing direct access to Liverpool and Manchester City Centre. This high-tech business centre provides great modern office space at a prominent business park location. 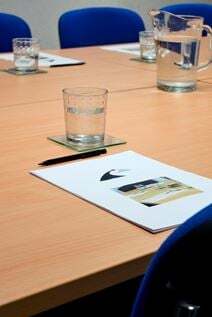 Offices are fully serviced including reception, support teams and professional meeting rooms as standard. The building is state-of-the-art, with onsite cyber café and air-conditioning. Tenants benefit from the location, just 18 miles from Manchester International Airport, with good access to the M6 and M62. Just on the edge of Warrington town centre, this is a very professional business centre with a friendly atmosphere and an ethos of good customer service. Offices are offered serviced or part-serviced, are fully furnished and feature climate control air-conditioning. Manchester and Liverpool’s international airports are within 20 minutes’ drive thanks to the excellent access to motorway networks, and the location makes the most of this by providing onsite car parking. Located right in the centre of Warrington are offices that are available on flexible terms. Tenants benefit from bespoke layout solutions, with partitions that can be built to suit any design. There are many great on-site amenities including secure car parking, break out spaces, kitchen facilities and meeting rooms. The property is accessible 24-hours. The building benefits from excellent transport links, just 150 yards from both Warrington Central train and bus stations. Fully furnished office suites are available in this grade II listed building. The suites are arranged over three floors and all have inclusive internet connectivity and access to meeting and conference rooms. Licence agreements are flexible with minimum length of one month. The centre is five minutes’ from Warrington town centre, offering plenty of local amenities, and tenants benefit from direct access from the M6 and M56 motorways. This business centre offers easy access to the M6, M56 and M62, and was once part of an old brewery. A mixture of serviced and leased office space is available, with stunning landscaped grounds surrounding the buildings. Meeting rooms also available to clients, and the space is accessible 24-hours a day. Warrington town centre has a number of amenities and attractions, including cafes, bars, restaurants, shops and hotels. 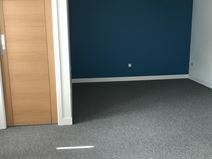 This property is located in Warrington and offers a secure business space, with great amenities including bathroom and kitchen facilities, CCTV, and the ability to access the space 24-hours a day. Less than 10-minutes away is Warrington town centre, where there are many places to enjoy something to eat or drink, as well as indulge in some retail therapy. Warrington Bank Quay Railway Station offers direct services to London Euston. The centre has an on-site art gallery, as well as bistro so the break-out space here is second to none. Less than five minutes away is Warrington Bank Quay Railway Station, which provides intercity services to London, Birmingham, Carlisle and Glasgow amongst other destinations. Golden Square Shopping Centre is nearby and the area also contains various bars, cafes, restaurants and other town centre facilities and attractions. A range of office sizes are available at this development in Warrington. The centre provides offices on short-term leasing arrangements within the heart of the thriving business community. Features of the building include video intercom, burglar alarm, security shutters and CCTV, cat 5 cabling and 3-compartment trunking, climate control air-conditioning and separate goods/passenger lifts. Road and rail links to the site are excellent and there is an onsite car park. Part of this modern office building is currently available for occupancy. The site is located in close proximity to Warrington town centre, with nearby Tesco supermarket. The road and rail links at this location are outstanding and just minutes’ away. Shared kitchen, toilets and lift access on each floor, secure intercom with camera, cat 5 cabling, raised floors for cable ducting, movement-sensor activated lighting and suspended ceilings are among a great list of features. 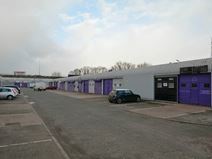 Suitable for any business looking for workshop, light industrial or storage premises, this property comprises a 32 unit business complex and is situated on the edge of a major industrial estate in Warrington. Workspace accommodation is managed on a flexible scheme, and the location benefits from nearby train station and retail park, both within a short drive. 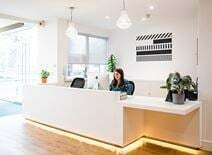 This unique office space is located over three floors of a modern building, with each floor approximately 3,500 sq ft. All units are available with new ceilings, LED lighting and carpets, with a high-spec design giving the space its exclusive look. 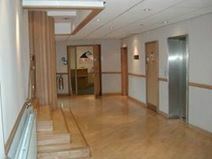 There is both lifts and staircases and the building is accessible 24 hours a day, ideal for the contemporary company. Available on flexible terms, there is options to add meeting and manager rooms if required, with each floor being open planned so it can be partitioned up to suit each tenants requirements. The space is located just a stone throw away from Warrington Central Train and Bus stations with an abundance of public transport routes taking you to the surrounding areas. You'll also find yourself just minutes from Warrington Town Centre. where there is plenty of restaurants, bars, cafes and shops to enjoy in your out of office hours.